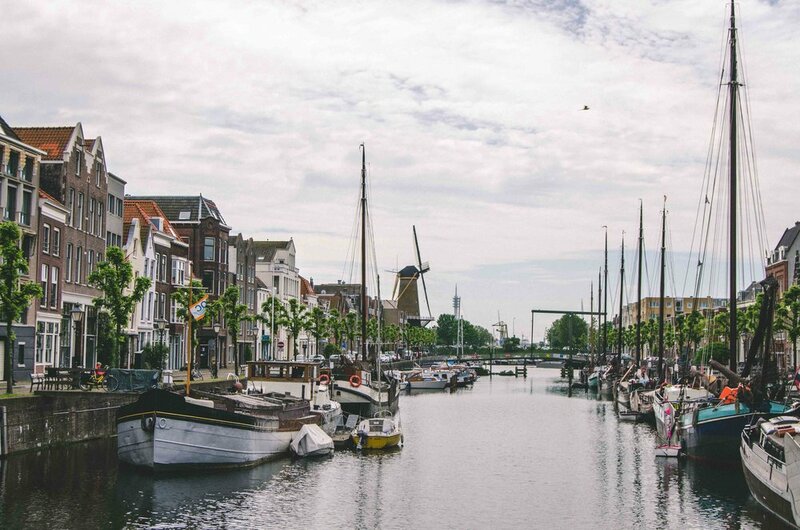 I spent three weeks in Rotterdam, city that my great-grandfather left in 1912. Land of my Dutch last name: Schoenmaker (literally shoe-maker...the kids from middle school were right, for once). Unfortunately my self-taught Dutch didn't pay off: beyond the bare bones 'please' and 'thank you', people generally responded in English. Vrijmarkt (flea market) on koningsdag (King's Day) in front of the Markthal building in the center of Rotterdam. Luck for me I arrived the day before this national holiday celebrating their king's birthday. Another flea market in a different neighborhood of Rotterdam, where this section of the tram line was temporarily closed for the market. Kort Hoogstraat, the street of the former photo studio where my great-grandfather had his portrait taken before leaving the Netherlands. It is now a shopping district near Metro Beurs. Rotterdam skyline. The smaller building with orange lights along the water is Hotel New York, where my great-grandfather most likely boarded the ship that brought him to the United States. Escalator down to the bicycle and pedestrian Maastunnel access. Length of tunnel: 1,2 km (3/4 mile), connecting the north and south banks of the Nieuwe Maas canal.